The objective of the Week of WIlderness course is to provide participants with hands-on knowledge in the field, identification of flora & fauna, nature interpretation, wildlife and conservation issues. 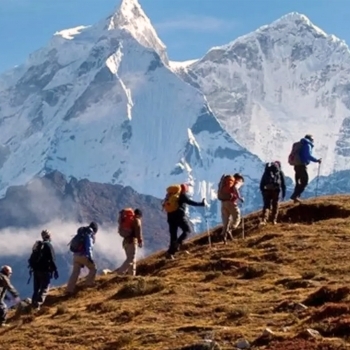 While WoW course is well suited to people who have little or no experience in outdoors or wilderness, It can be especially beneficial to those working in travel companies, educational and outdoor organisations, hospitality industry, offsites-events, relief volunteers and rescue forces, etc. We believe that one also needs to understand the nuances of being comfortable in nature and thus be prepared. Towards this end, we've included a half day module on "basics of outdoor living". This course also provides participants with an internationally accredited certification in Wilderness First Aid (WFA) with Adult & Child CPR. 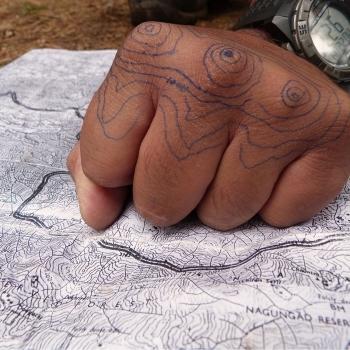 This course comprises of a 16-hour Wilderness First Aid (WFA) module and a 4-hour CPR module. About half of the course content is scenario based where participants take turns playing the role of injured / caregiver. Topics are covered with a focus on how to recognize signs and symptoms, first aid treatment and prevention measures to avoid further illness/injury. All participants are provided with a workbook for Natural History and our Wilderness First Aid manual. Board and lodging for 5 nights/6 days in single occupancy accommodation in Alpine tents. Clear path,no use of hands required.